Be attractive, starts from elegant design and good quality. Collar clip-on design to avoid lost, use excellent material to ensure favorable use and fluent sliding after frequent retracting. It's suitable for traveling, diving, metro bus, in office. Wireless technology allows you to connect the smart mobile devices such as for IPHONE, for IPAD within 10 meters distance. Bluetooth 4.1: Support Bluetooth 4.1 transmission protocol standard, the transmission speed is faster and more stable, can effectively reduce the sound quality loss. 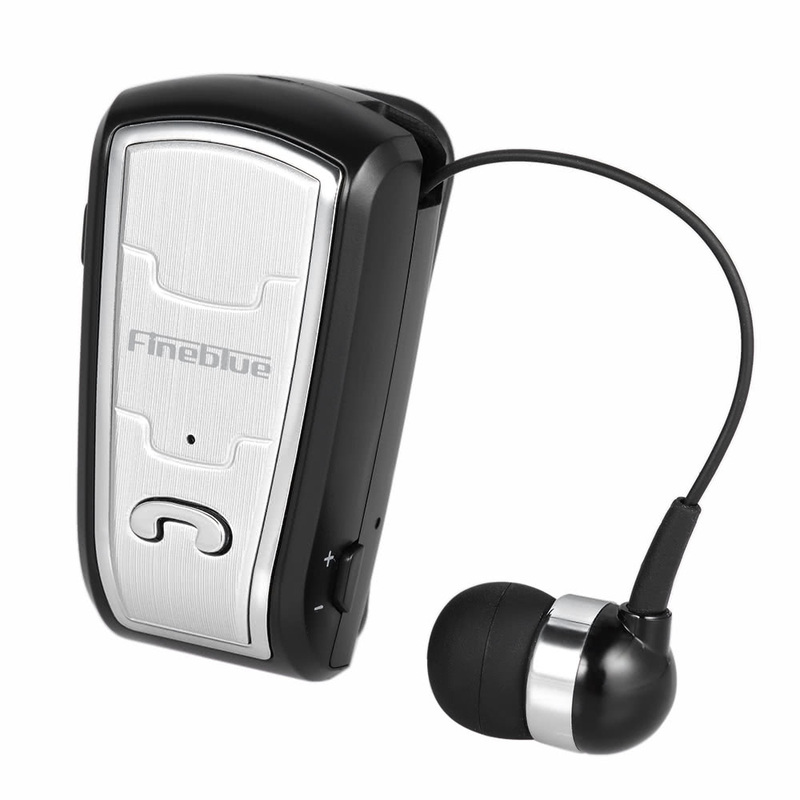 Compatible with most smart devices with Bluetooth. Multi-point Connection/Re-Dialing : It can connect 2 mobile phones at the same time. Just quickly press the multi-function button 2 times to redial the last broadcast number. Noise Isolation: Earplugs are designed so that external disturbances can be reduced to a lower degree. Intelligent noise Isolation can make you enjoy crystal clear talking even in the open and loud environment. Endurance Time: Built in rechargeable lithium polymer battery, the longest standby time can be up to 80 hours and the time of music can be up to 4.5 hours. Clip Design: User-friendly retractable clip-on design, with the design of the clamp, it will be more convenient for you to wear it, simply clamping down on the clothes. Hold to pull ear-bud to answer the call, one click to retract the ear-bud easily when the call finishes.